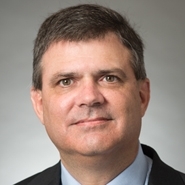 MILWAUKEE, Wis. — The national law firm of Quarles & Brady LLP today announced that Milwaukee partner Kevin Long has been inducted as a member of the Greater Milwaukee Committee. The Greater Milwaukee Committee comprises 200 passionate CEOs or CEO-level executives who work together to make Milwaukee the best place to live, learn, work, and play. Often working with community partners, the GMC creates new ideas and implement solutions in education, economic development, and effective government. To become a GMC member, a prospective member must be nominated by a current member before being brought to the Membership/Nominating Committee. Kevin is national chair of the firm's Litigation & Dispute Resolution Practice Group where he leads Q&B's over 100 litigators who represent businesses in the nine communities across the nation where we have offices. He spearheads Q&B's interactions with the justice system in those communities. He received his law degree, M.B.A, and bachelor's degree from Marquette University.